The best in emergency accessories wrapped in one auto safety tool! 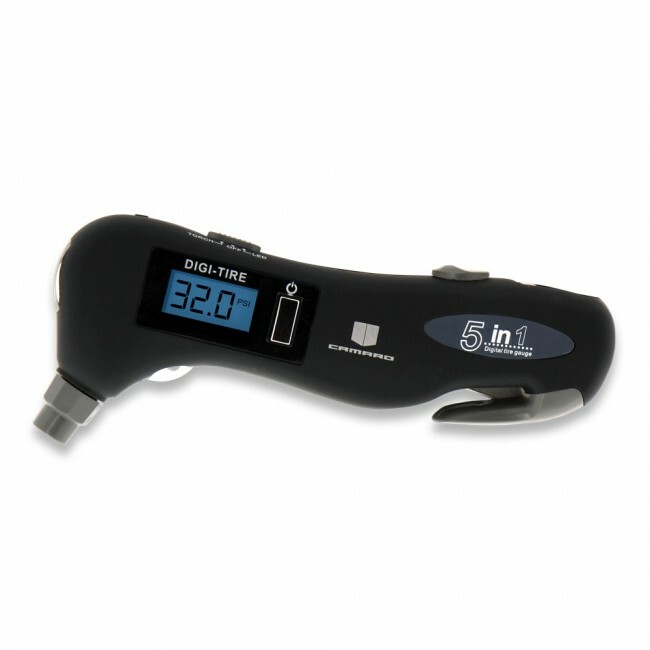 Measuring 6 1/2" x 2 3/4", this stainless steel tool features a seat belt cutter, flashlight, digital tire gauge, backlit LCD and a glass breaker/emergency hammer. Camaro Hood Stripes and signature on center handle.